It's the last day of our On Your Mark Create! Hop! 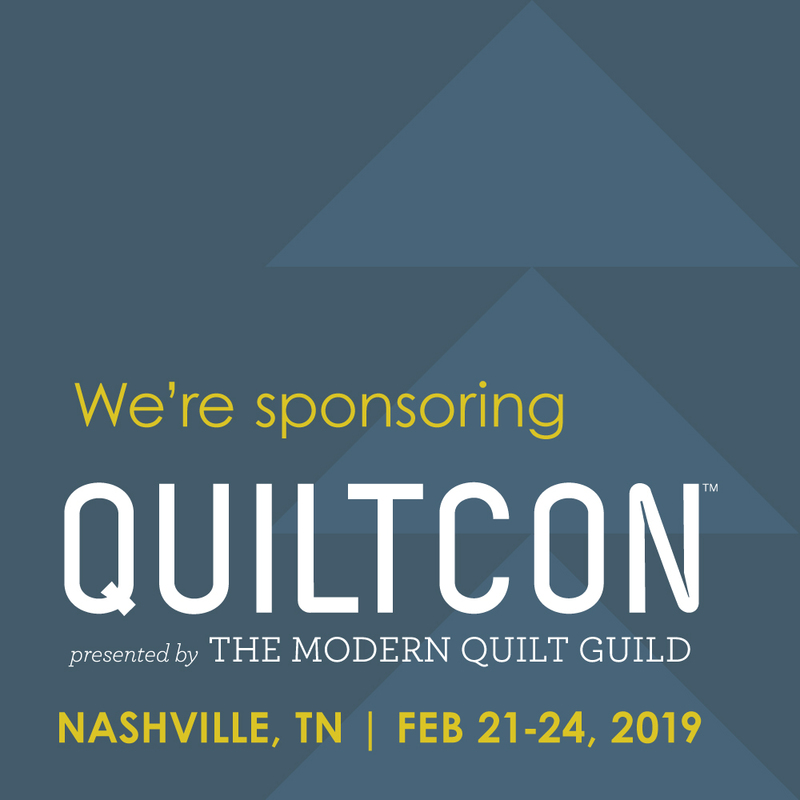 We hope you've enjoyed following along and seeing all of these fantastic projects! For our day on the hop, we couldn't resist revisiting one of our most popular tutorials from the blog: Tulip Time! Simone's bright, springy prints and low-volume coordinates are perfect for this easy wall hanging. 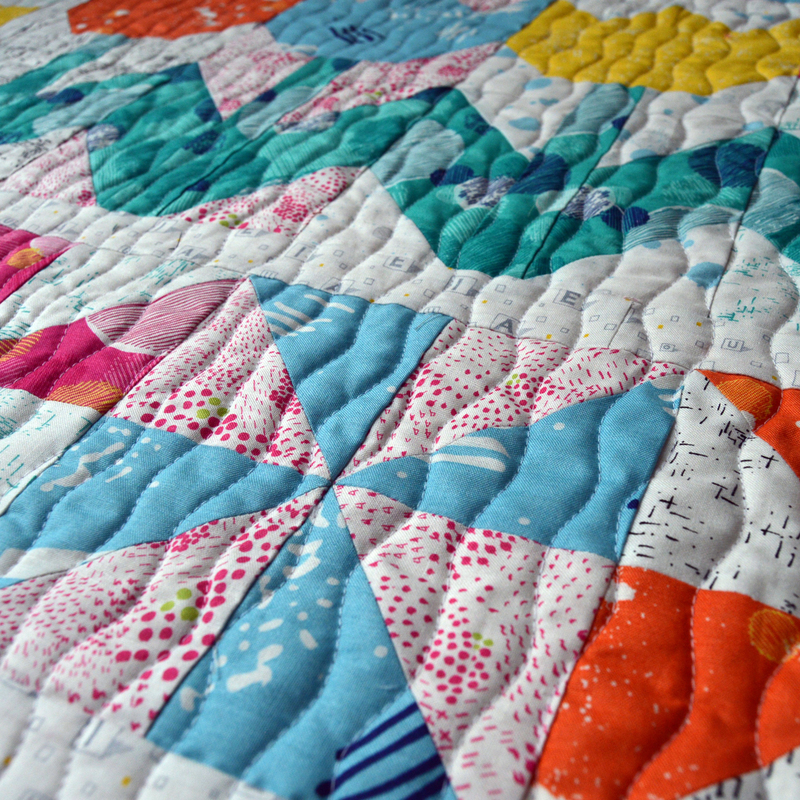 Choosing which low-volume print to pair with each bright print was half the fun of sewing this quilt. We added a scrappy pieced border around the basic tulip and pinwheel center and finished with the Gray Scallop binding print for binding. Find the Tulip Time tutorial here. 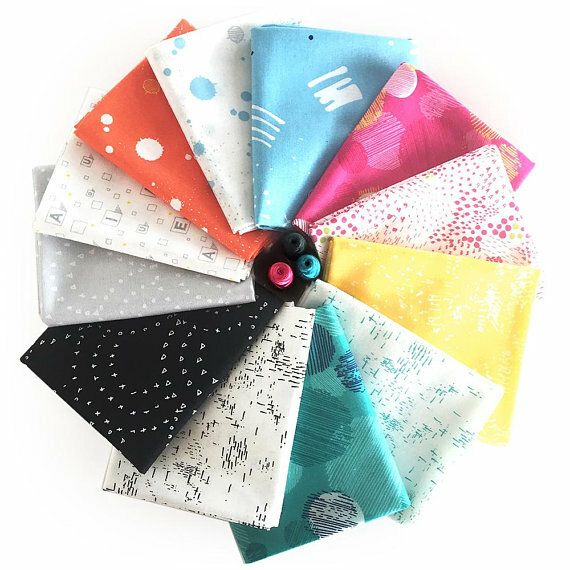 For a chance to win a FQ bundle of On Your Mark prints, leave a comment here letting us know your favorite print in the On Your Mark collection. Head over to IG (@pbstudiofabrics) and leave a comment there as well for a second chance to win. Giveaway is open through Saturday, April 28th at 11:59 pm CDT. I love the blueish scribbled moons, and for the low volume I am absolutely in love with the black Exclamations! I like the gray with the tiny triangles. But, all of the fabrics are great! Love the vowel print in both colors. I like all the prints with the sketched circles. They are so fun! I also really like the black clamshell print. 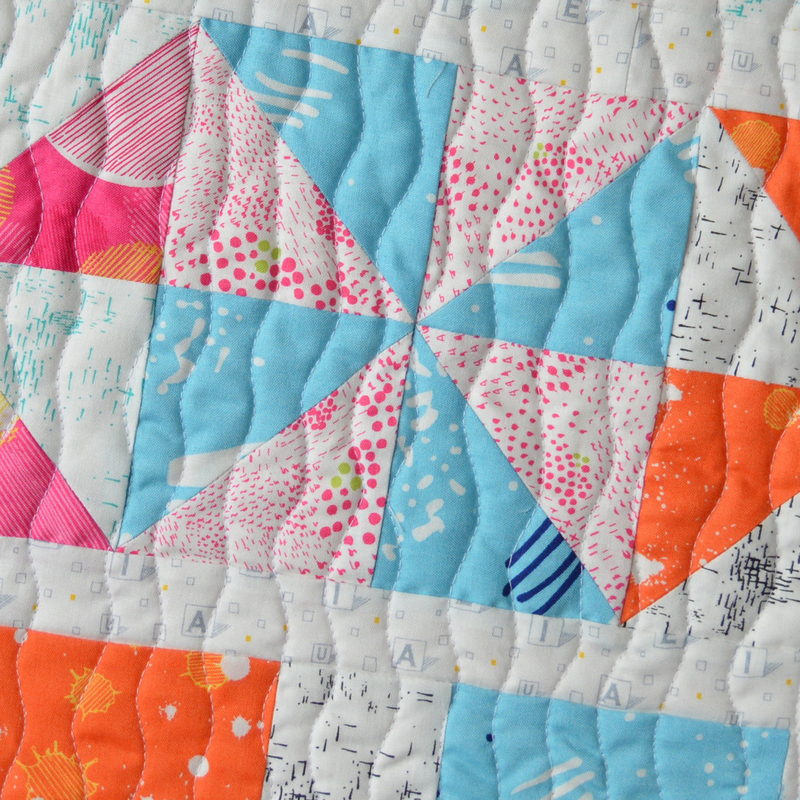 I like the Exclamation print, but especially the brights! On your mark 120-10743 is my favorite fabric of the collection. But I love them all and I like that there are a variety of print colors on white. 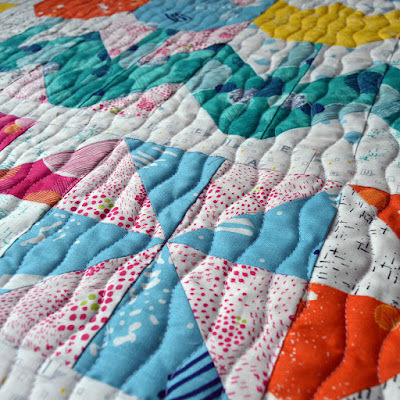 The quilt is sooo cute! My favorite print is the blue #120-10722. 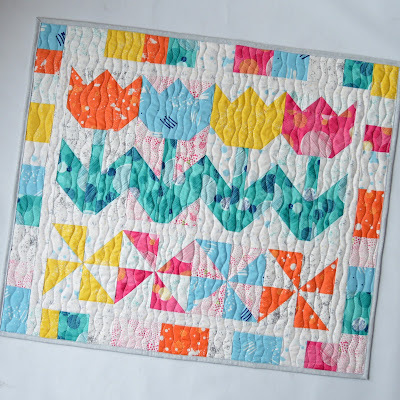 Thank you for the giveaway and the Blog Hop. 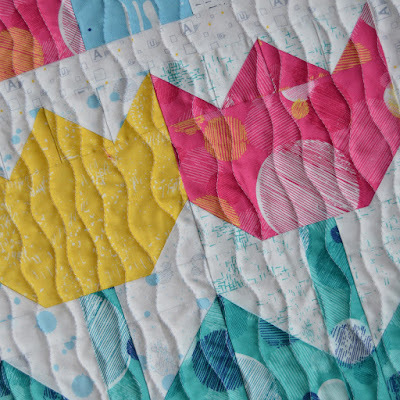 The tulips look so cute in Simone's fabrics. It has been a fun hop seeing all of the great projects. I love the great low volumes in this line - especially the 120-10711. All the colours and prints in this collection are so cheerful. I like the one with pink spots and green splashes!! It is a toss-up between the black with white marks, or the white with the black exclamations. Oh, they are all gorgeous! If I had to choose one it would be the grey ON YOUR MARK 120-10793. The orange clamshells is my favorite (120-10772). I really like the freshness of the color, the way she used double "stitching"--she made something familiar, new to my eyes. Nicely done! I really like the subtle blue ON YOUR MARK 120-10733. I like that this collection has some great blenders, and I love blue! I really like the yellow, it's so happy. I love the black (120-10771) It is so fun and different. This has been a great hop! Thanks for all the inspiration! The pink would be number one for me, though they're all lovely. And, I love the tulips! I love the white fabric with little flecks of turquoise. What a fabulous interesting background fabric. Love the Turquoise with blue and the hot pink with yellow. They are all beautiful! I've enjoyed seeing all the creative projects! 120-10771, a black with subtle arches. The entire On Your Mark collection is beautiful, but my favorite is 120-10752 with the hot pink background and tiny yellow and white donuts! The eye-catching Raspberry dot fabric (0574645) speaks to me. I really like the darker aqua print (but they are all so pretty!). 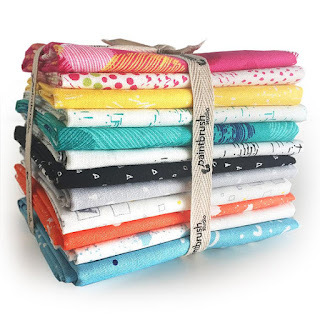 These are beautiful fabrics and great projects made with them. Choosing a favorite SKU in this collection is like having to choose a favorite child ... but, the exclamation white and black speaks beautiful low volume to me. 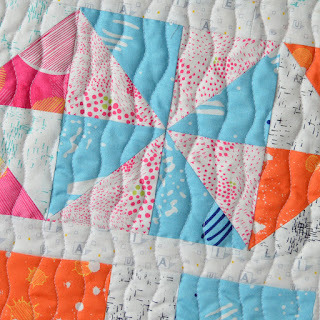 The exclamation point fabric is my favorite! They all look so great together, but the sea green color really speaks to me! My favorite is the black with white dots in a scallop design. But it is a great collection of colors and patterns! Beautiful work on tulip time. I really like the orange it stands out. The orange with the splash polka dots, of course!!! It is hard to choose a favorite, but since my new favorite color combination (this week) is black and white, I would choose 120-10721. Thanks! 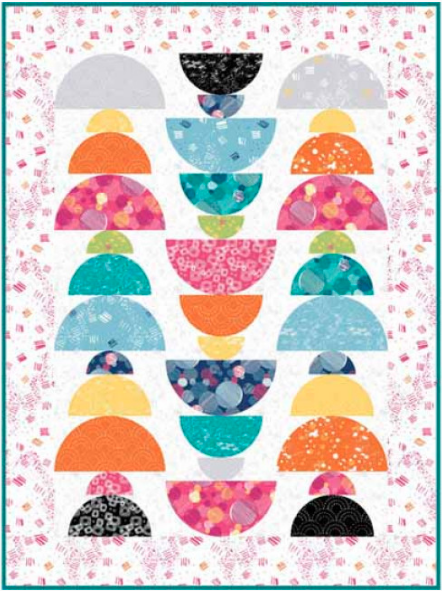 I like the teal green circle print. i like the paint spatter prints the best. I love them all, so fresh and pretty! But the black clamshells are very cool. On Your Mark Large Scale Etchings Aqua/Multi Fabric is my favorite print! It's a toss-up: I like the teal ones--with circles 10742 or slashes 10791! I really love all of these prints & hope to win some! My favorite is the teal/aqua print. My favourite fabric is the blue turquoise fabric. I live in BC Canada - can I enter? Oh I love the explanation point print! !